Tirana (Albania): People visit the anti-nuclear bunker built by former Albanian leader Enver Hoxha, east of Tirana, capital of Albania, on Nov. 2014. 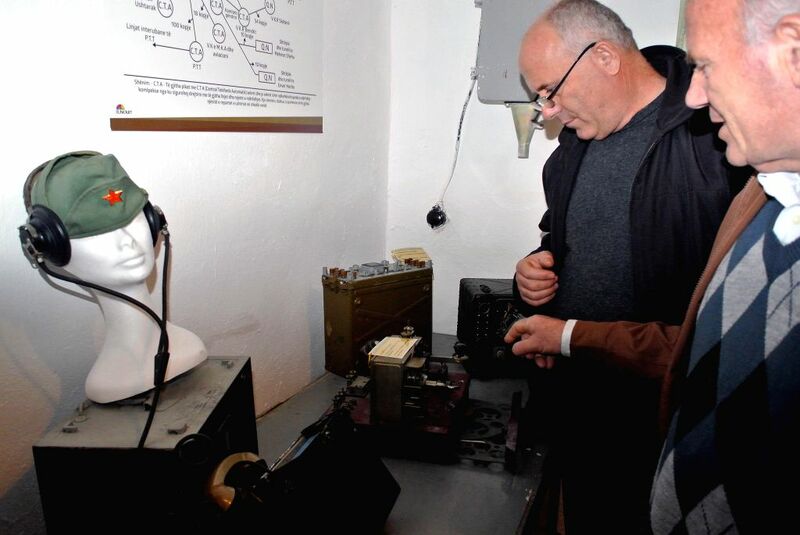 Thousands of people across Albania on Saturday visited the new opened museum -"Bunk'Art" on the occasion of the 70th anniversary of the "liberation" of Albania. The underground five storey building, which was built between 1972 and 1978 in the mountain Dajti located to the east of Tirana aimed to protect the regime's political and military elites in case of atomic attack.